Walls of division are crumbled as the Gospel of Jesus Christ demonstrates its power to overcome divisions of race, gender, wealth, social status, intellect, talent, athleticism, or physical beauty. In genuine worship singing the church demonstrates an answer to Jesus’ High Priestly prayer in John 17 that we would be one, and is answering that prayer in real time and space. Mutual ministry is engaged as every singing worshiper edifies every other singing worshiper at the same time that the other worshiper edifies the first singer. That dynamic is multiplied across the room of singing worshipers exponentially as every one is ministering to every other one, and vice versa. Plus the composite ministry of the singing congregation ministers as a collective entity to every worshiper and to any outsiders who happen to hear. Moments of significance are embraced and embedded in a congregation’s memory. Whether times of deep sadness and longing sorrow, or the most joyous of joys in times of happiness, those moments are stamped through the attachment of psalms, hymns, and spiritual songs that accompany and express the church’s response, whether praise, prayer, or sympathetic concern. Through these times a hymn or worship song becomes a signature of the congregation’s shared experience of faith, and when it is sung it serves not only in its intended meaning, but also as a reminder of its new significance. Often re-singing of the hymn or song will bring association with the emotions and ministry present in its previous singing. Indeed a hymn or worship song may become something of an Ebenezer (1 Samuel 7:12-13) reminding worshipers of the Lord’s help, provision, or other character trait. With such songs a congregation may find that each time it is sung the church reaches a more profound Alleluia! The body of Christ is formed and strengthened as individual worshipers give themselves over to the corporate fellowship of saints, and love one another with brotherly affection, and try to outdo one another in showing honor. (Romans 12:10) In singing the many members are one body joining to sing one song of praise, walking together by faith and not by sight. For at least the last decade a variety of leaders have trumpeted the need to reach young adults categorized as millenials with the gospel. The group known as Generation Y, or millenials, has reportedly been studied more than any previous generation. There are no hard edges on a definition of who is encompassed by this grouping, but it roughly covers those born in the early 1980’s through 2000, and we need to reach them. For those of us who would call ourselves evangelical Christians the response to such trumpeting would surely be, “of course!” We need to reach this generation just as we need to reach people of all ages. We do not have time or space here to go into what “reaching” even means, but it seems to me much polluting of message and ministry has occurred in the methods engaged in the process. Much of what the Church (ekklesia) is “called out” to be in the world has gotten lost, or simply become fodder for something besides its God-intended purpose; most notably for our discussion and focus, worship. So here are four of the myths about millenials and worship. No one is impressed by an older adult trying to “fit in.” Millennials are hyperaware and deeply suspicious of the intersection of church and consumer culture”. We’re still consumers, of course, but we’re skeptical. Making church cool isn’t going to work because we’re not buying it. Millennials want a faith that is real and functional, not a cheap imitation of the culture. Millenials want Christianity convenient and easy. This is largely a myth offered up by we baby boomers and gen-exers, who want these features in our own spiritual quest. In fact, authenticity is at the core of what young adults want and need, regardless of how demanding. In large part they are ready and willing to get their hands dirty in serving and addressing social issues and benevolence needs. Discipleship and authentic self-sacrificing worship and service should be at the heart of the local church. Worship is best in separated environments. This myth seems rooted in a marketing-driven assumption that smells more of “divide and conquer” than “come together.” Like other myths, its faith seems reliant on polls rather than trusting the power of the very gospel it portends to pronounce. According to Barna research young adults who have experienced an established relationship with an older adult inside the church are twice as likely to stay in church and 59% who stay indicate such a relationship. 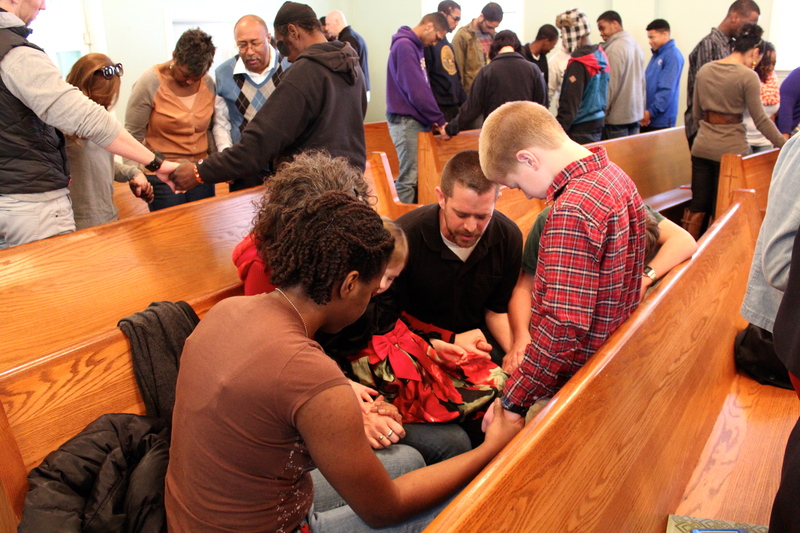 Intergenerational relationships are fostered and encouraged in the mutuality of genuine worship in spirit and in truth. Whatever else some of my Baptist buddies may think of Rachel Held Evans’ journey away from the church and back, surely all concerned with millenials and related worship issues must hear important characteristics in her sojourn that speaks of her generation and spiritual sensitivities in corporate worship. There is much to be learned. Anthropocentric (human-centered) worship that seeks experience will at best achieve its focused end, an experience. Even when millenials are reached with such, what are they reached to, but experience? Our need is the Triune God Himself! “Ascribing worth to God arises from how He has revealed himself in scripture and how he has acted in history, not least in his redemptive work.” We meet to rehearse His acts, to sing and proclaim what He has done, is doing, and promises to do. In His Triune Presence mediated by the Holy Spirit, there are real tensions where Theocentric (God-centered) worship confesses the awe and mystery. His ways are not our ways. His thoughts are not our thoughts. What if we all sang with genuine abandon lyrics that make less of us, and all of Him, such as “love so amazing, so divine demands my soul, my life, my all!” even as we recognize our struggle to sincerely offer our all? Herbert Bateman, Authentic Worship: Hearing Scripture’s Voice, Applying Its Truths (Kregel Academic & Professional 2002) 174. Worship Ministry Leaders, it is essential that we work to hone our craft, become more skilled at musicianship, leadership, planning and organization. These human endeavors are built into our DNA and we believe placed there by God to be used for His glory in His Kingdom. It is imperative, however, to raise a caution banner. Whether you are a talented noted worship leader, a consummate choral conductor, or a soloist capable of stirring the emotions of the coldest listener, none of these skills in and of themselves empower genuine Christian worship. What’s more, within these capabilities lies the prospect for crippling temptations. It is far too easy for me to become enamored with my own voice when I am singing well, and thank God that He has given me the power to sing in such a manner, assuming He is blessing (and blest) because I am doing well. That is a natural tendency for those of us schooled in performing, whether our development has come through formal education or through the ranks of the entertainment field. Credibility too often rests in formal degrees or talent show trophies, when the desperate need of the church is for the Spirit to draw the Body of Christ together in a demonstrative display of His love, His power, and strength. 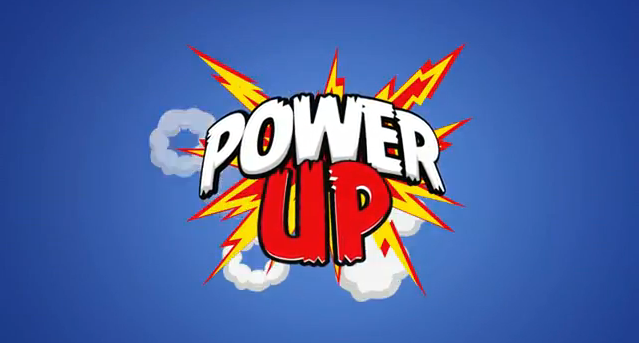 As a musician Worship Leader I could easily pick out some songs that speak to me, place them in an order that leads toward an emotional climax, prepare to present the set in a service and then pray that the Spirit will come and “power up” the experience as I am leading. Such a scenario almost sounds legit, doesn’t it? I sometimes hear prayers by Worship Leaders that follow this pathway. I believe that every time that is the case it is done with well-meaning intentions. It is rooted, however, in a blasphemous assumption that I have power to engage others in worship, and just need the Spirit for a boost so that we can power up to proverbial “next level” (problematic verbiage when talking about worship). Brothers and sisters, the Holy Spirit is not a shot of mid-service espresso to call on when your spirit gets weak. No, the Holy Spirit is absolutely the only means of power for transformative worship where Jesus’ lordship is lifted high, where the Gospel is clearly proclaimed as the only means of right relationship with a holy God, where the ultimate purpose of life as glorifying the Triune God is unapologetically made clear. As J.D. Grear points out, “God has never commanded us to go save the world for him; he has called us to follow him as he saves the world through us.” Jesus said, “I will build my church, and the gates of hell shall not prevail against it.” (Matthew 16:18) Italics mine. He did not say you will build your church and you can look to me when you need to power up. Time and again the scripture exhorts us to wait on the Lord. When the songset is due for the website or bulletin that waiting can be a real challenge. Through it all, however, we must realize that the only means of power is God’s presence. No life is ever transformed apart from His work. Let us pray fervently that our worship houses will be built on the life-giving power of the Holy Spirit of God! Get a new leader that is younger with more experience – huh? And the list goes on. We could debate the objective of each of these, and certainly could debate the observable results ‘til the proverbial cows come home. (it’s an old farm expression, millenials). 18 And do not get drunk with wine, for that is debauchery, but be filled with the Spirit, 19 addressing one another in psalms and hymns and spiritual songs, singing and making melody to the Lord with your heart, 20 giving thanks always and for everything to God the Father in the name of our Lord Jesus Christ, 21 submitting to one another out of reverence for Christ. (Ephesians 5:18-21) Italics mine. Note the first exhortation here, don’t get drunk, be filled with the Spirit instead. Also note the repertoire of “psalms, hymns, and spiritual songs,” and the spirit of submission to one another – serving with a thankful heart. What a picture! Serving and singing. I would go as far as to say serving by singing. There is no press here for new, old, loud, or soft. The New Testament addresses the spirit of our singing, and the Spirit in our worship. Our need is for singing in spirit and truth – and in the Spirit there is truth. One of the activities of the Holy Spirit is to reveal to us the truth of the Word. Remember what Jesus said to the woman at Jacob’s well at Sychar? Holy Spirit, fill us with Your love and power that in our worship our singing might bring glory to You, Father, Son and Spirit. Give us faith to trust You as the sole source of power. Let our leaders apply the skills of their craft as You direct. Christ Himself will gird himself and serve us with sweet manna all around. My wife and I visited a church last Summer where we walked in, were greeted by someone obviously assigned to the door who was sorta kinda semi-friendly (I’m being generous). We were given a bulletin that was loaded with a collage of ministry logos, a lot of verbiage that really only made sense because of our familiarity with church-dom. There was no service order or explanation of what or who worship was for or about. There was nothing to really help us know what the church was about except a motto phrase implying its mission. There was a typical “visitor welcome” voiced in the service itself in which members were encouraged to “welcome our guests.” Two little ladies in front of us turned around and shook our hands and grinned at us. The room was abuzz with people talking with one another, and we were standing there with that look….you know the “we do not know anybody here and so please hurry up and get this over with” look. My bride is a gentle and quiet person in public, but despises this activity common in many churches. She really does not like it – so much so that she sometimes will latch the death grip on my arm when someone even begins the “we want to welcome our visitors this morning” speech. Hospitality? Well…. Later last Summer we visited another church where our greeting at the door was similar, but had more pointed conversation finding out where we were from, the purpose of our travel, asking about our family, inquiring what brought us to the church, etc. You know….stuff we could actually talk about. Still, there lurked in my wife that fear of the pending welcome” ritual. Instead, however, as we were seated two or three people around us greeted us, asked if we were part of the church family, and upon hearing we were from out of town engaged in conversation about us, our visit, and as the service began we had a bit more of a sense of genuine welcome. When the service began only one of us had a printed bulletin and one of those who had spoken to us before noted that was the case, and got up to go retrieve an additional copy in case we wanted it. We did. In the worship bulletin were printed words and music for every song save a couple of newer worship songs that had only words. Not only was the order spelled out, but a description of the flow of worship’s conversation was given. 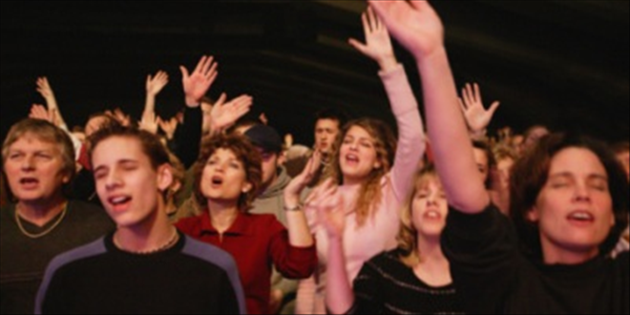 In participatory worship God is understood more clearly as the source of worship. In this worship songs are addressed to God by name. We are reminded of Christ’s real presence in the gathered body, and God is recognized as the Audience. In this environment the Worship Leader(s) are hosting and their hospitable spirit is important as facilitators of the worship. They will avoid getting in the way, or distracting from the engagement between the worshipers and the worshiped, but rather will join as fellow worshipers. Leadership verbiage will foster an attitude of “we” whereby the gathered sense that something is taking place in which we are joined together in participatory activity, rather than being relegated to a passive “watch this!” or “listen to this” posture, which sidelines participation of fellow worshipers, and places them as spectators watching platform personalities “do their thing,” whether rockin’ and rollin’, engaging in classic choral splendor, or charismatic preaching. An atmosphere of worship where mutual hospitality is encouraged will likely promote healthy interaction from the time worshipers step foot on the property of the church right through until their departure. What’s more it will foster continued worship as servant in the world. Constance Cherry, The Worship Architect, 269. I enjoy reading posts by Stacey Gleddiesmith and commend this to you in case your Christmas seasons, like mine, tend to be other than perfect. This morning at Columbia Bible College’s final chapel service of the semester I was given the opportunity to share a little bit, taking inspiration from a Christmas blog I wrote last year called Merry Imperfect Christmas. So this is a re-visitation of a concept that does, perhaps, need to be revisited. The permissions at the end were used as our benediction. I hate watching TV at this time of year. Too many perfect families (mom, dad, 2 kids, a dog) gathered around a perfect table… or in front of a perfect tree… finding each other the perfect gifts… lighting up with the prefect reactions…. WORSHIP RITUAL – GOOD OR BAD? I grew up during the 1960’s and 70’s in the South and Midwest, where conservative evangelical views reigned supreme. During those days there was a marked anti-Roman Catholic attitude among many conservative evangelical preachers and leaders. The sentiment was predominant among church members of the day as well. The negativity expressed itself in several ways. For example, although I was only eight years old at the time, I remember vehement discussions at the barbershop, the grocery store, and at the church-house during the election season of 1960 when Roman Catholic, John Fitzgerald Kennedy was elected President of the United States. The largely fear-based reactions made me, as a little kid, feel like we were all doomed to soon be speaking in Latin and singing Gregorian chant for our before-mealtime blessings. Another means of anti-Catholic reaction was resistance by many evangelical churches to anything that smacked of ritualistic symbolism. Candle lighting , use of responsive readings, usage of decorative symbols, and the like were discarded by many evangelicals as inherently meaningless. In many churches liturgical form was supplanted by formats that resembled revivalist crusades. The pragmatic move was seen by many leaders as a way to fend off any hint of ritualism, while at once focusing their churches’ attention on evangelistic zeal, or so they hoped. In the meantime what was also lost was a more robust reading of scripture in public worship, and other worship acts with strong biblical affinity. Ritualism and ritual are two different things. Ritualism could be described as ritual that has turned in upon itself, robbing ritual of its intended meaning. Social Scientist, Robert K. Merton, in his theory of deviance says, ritualism is a “form of quasi-deviance in which people obey norms outwardly by ‘going through the motions,’ but they lack inner commitment to their roles and the underlying values of the social system.” He goes on to say that widespread ritualism undermines morale and commitment as others observe the lack of commitment. Wow! I will let you make your own applications in the case of this frightful description. Regardless of whether the expression is overt formalism, Pentecostalism, traditional revivalism, or contemporary-styled worship, ritualism tends to raise its ugly head as faith fades, and genuine spirituality is lost. I have written previously on Michael Walters’ proposal that says, “ritualism is worship divorced from life.” (read here) By contrast, Webster’s dictionary says ritual is a sequence of activities involving gestures, words, and objects, performed according to set sequence. 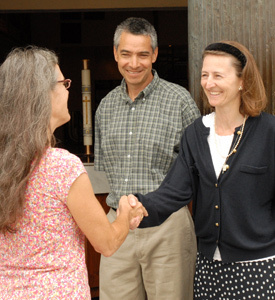 Greeting someone with a handshake is a ritual. Saying, “thank you” and “you’re welcome” is ritual. Ritual comes from rite. Weddings and funerals are rites, and we who are Christian believe these rites are best administered by the church with a clear Christ-centered message at their heart. Ritual is important to worship. Many symbolic acts of worship are ritual. We bow our heads or kneel when we pray. 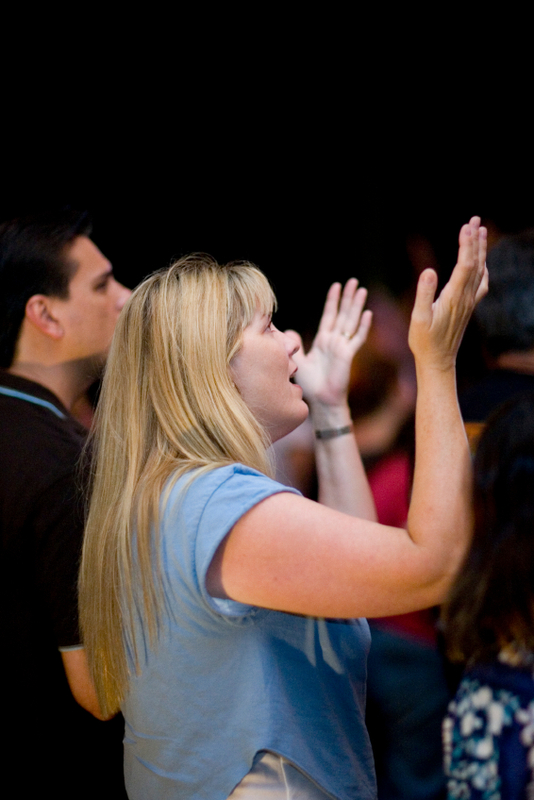 We may raise our hands in praise and/or as testimony to our desire to surrender to the Lordship of Christ. We may call for people to walk an aisle as a means of spiritual response or decision. We baptize new believers. We partake of the Lord’s Supper either in unison acts, or through actions of coming to the Table. These gestures, words, and objects performed according to sequence are rituals, but certainly they are intended to be filled with meaning. Those with sacramentalist understanding of some of these acts may even say they are means of bestowing God’s grace. Those with a different view would say the acts and elements are more symbolic. Symbolic ritual does not guarantee the essence of the activity, but rather serves its enactment. 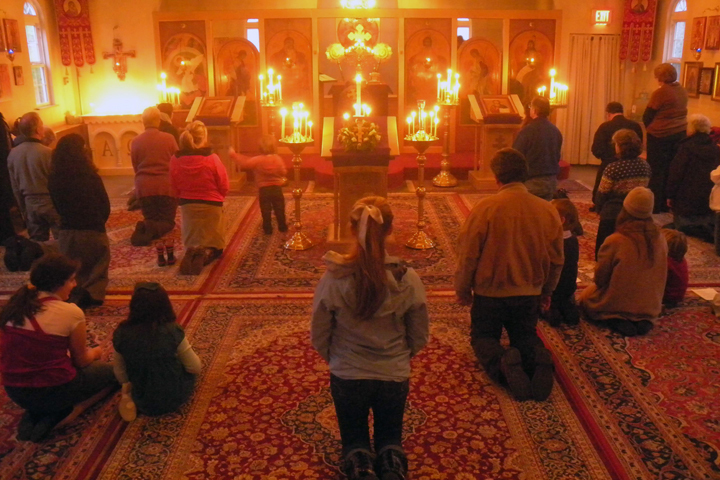 Kneeling or bowing one’s head does not guarantee we are communing with God in prayer, but these ritual actions foster the spirit of prayer and their practice offers worshipers a means of indicating they are engaged in prayer. Likewise, raising hands in itself never assures praise or surrender. Even going to church for Sunday worship in the first place is ritual, but not one that assures we are living as disciples, or worshipers of Jesus. We could perhaps all participate in writing personal testimony as to ways meaningful ritual can drift into meaninglessness that becomes ritualism. Pride certainly finds a welcome home in ritualism as worshipers gone cold may continue attempts to appear spiritually warm and pious. Worship ritual clearly must be rooted in Jesus Christ. While none of us can claim absolute doctrinal purity, we can seek to faithfully root our worship in Christ. Biblical research, as well as study of the Church’s history reveals the ongoing need for reformation in the church. Study of the ancient church reveals the foundational practice of Word and Table. Years of add-ons and complicated schemes of indulgences and other additions led to the Reformation. Just as with other ritual activities, singing is an act that can either drip with full-hearted meaning and significance, or can drift into ritualism. We may blame the songs, or style of the music as being meaningless. Often, what has become meaningless is the singing itself. Half-hearted, rote participation, or complete lack of engagement at all can rend the ritual of singing our worship meaningless. Singing can even end up serving as a means of dividing the church, rather than opportunity to shape her into the worshiping community of “many members, one body” that scripture teaches. Seems to me the oneness for which Jesus prayed (John 17) is either helped through our serve-one-another worship singing, or thwarted by our age-segmented, or preference-driven divisions. Lord, help our singing to engage head and heart in the Gospel in a spirit of ministering mutuality such that our worship always points us to Jesus, and shapes us in His image through the power of the Holy Spirit. Amen.